Premium Accommodation and Personalised Care, Portofino Hamilton is the perfect solution for your senior living years. Relish our flexible accommodation and lifestyle options by living in a fully self-contained stunning apartment with access to 24/7 personalised nursing care. At Portofino, we have the view that if couples, family, or friends want to stay together as you age you should be able to without compromise. 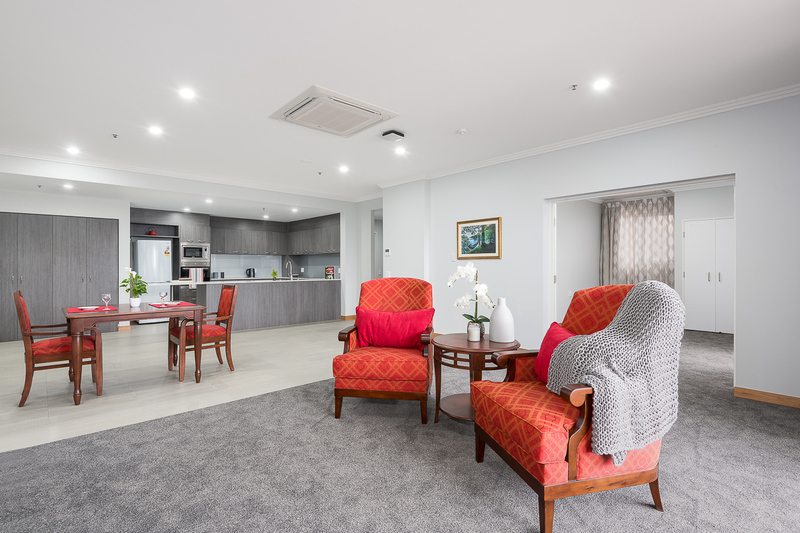 Irrespective of your individual care needs, you are able to enjoy a two or three bedroom “aged care” apartment lifestyle with full aged care services for one or both of you. No need to separate or move as your care needs change, Portofino adapts to your lifestyle & care needs. Individuals or couples planning for the future and looking for an apartment where care can be provided in the future. Whether you are at the point in your life of requiring full time care, assistance with daily tasks or planning for the future, Portofino is the answer for you. 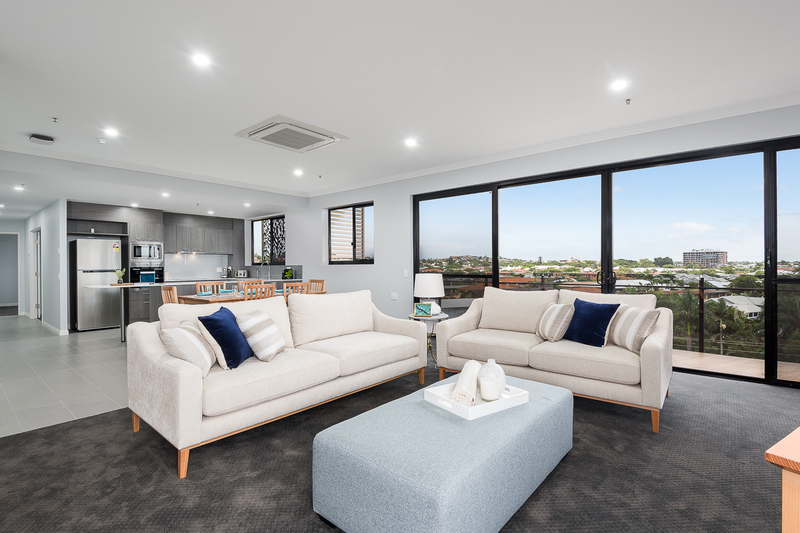 Our Senior Living Apartments provide an opportunity to secure your apartment lifestyle whilst planning for future care requirements whether they eventuate or not. Whether you have a current ACAT assessment or not, Portofino Hamilton offers true flexibility in affordable and delightful accommodation. With no Deferred Management Fee your private Refundable Accommodation Deposit fee is 100% refundable on your departure. Portofino Hamilton has 50 apartments across 6 levels ranging in size from 128m2 – 404m2, with full care services provided to each level. Portofino Hamilton has 26 spacious, two-three bedroom apartments on offer on Levels 1 to 3. The main bedroom has a generous ensuite and wardrobe walk-in wardrobe. The second bedroom provides options for separate sleeping arrangements or as a spare room for visitors. Keep up with your cooking skills in the well-appointed kitchen and enjoy the space in the open plan living room. The generous balcony is where you will be able to enjoy the breeze and watch the surrounding happenings. Portofino Hamilton has 20 two-three bedroom apartments on offer on Levels 4 and 5. The main bedroom has a generous ensuite and walk in wardrobe. The second bedroom provides options for separate sleeping arrangements or a place for the grandkids to sleep when they visit. Keep up with your cooking skills in the well-appointed kitchen and enjoy the day-to-day comfort in the living room that leads on to the generous balcony which is home to the extensive views of the surrounding vistas and the gateway bridge. Level 6 is where you will find our 4 exclusive penthouses. Our Penthouse Apartments are three or four bedrooms with a very large ensuite off the main bedroom. Broad sweeping balconies surround the living area with views to the Brisbane River, Gateway Bridge and surrounding suburbs. Other bedrooms offer spaces for guests or you may enjoy the grandchildren sleeping over. Keep up with your cooking skills in the well-appointed kitchen. The open plan living room will provide the day-to-day comfort. You can enjoy peace-of-mind knowing all residents’ changing needs are very well accomodated for at Portofino Hamilton. We offer readily available assistance and attentive nursing care 24/7 in the apartments based on assessed needs. Comprehensive services include both extensive care and palliative care. Our person-centred approach enables us to meet each residents’ individual care needs in partnership with their loved ones. The Servizi Additional Services package provides extensive supplementary services including additional menu choices, a variety of additional snacks and menu choices, as well as alcoholic beverages. Enjoy our 12 channel Foxtel package or choice of over 100 movies on demand on your large wall-mounted flat screen television. In room refrigerator, microwave, WIFI access and personal control of your air-conditioning also come with the Servizi package. 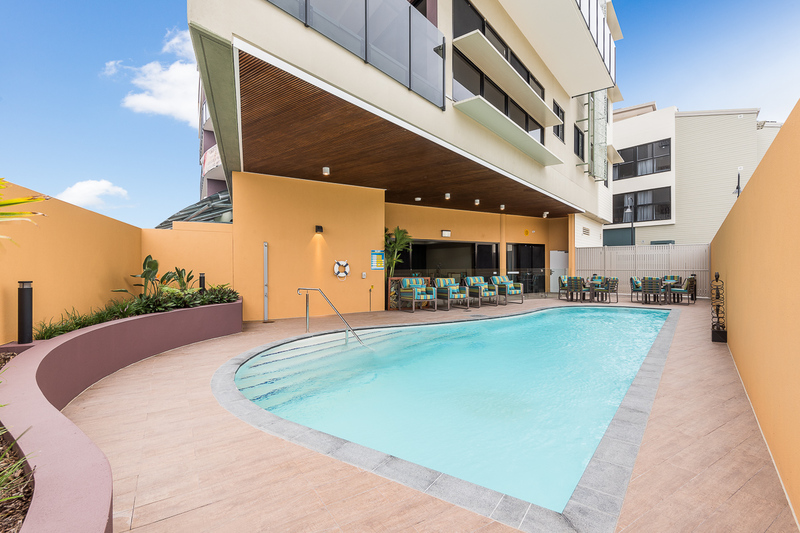 Portofino Hamilton offers a range of financial options for your accommodation including Daily payments, Refundable Deposits or a combination of the two. A break down of the pricing for each apartment can be found in the downloadable documents above. Additional charges for Portofino Servizi package and government set fees and charges may apply. Other fee for service arrangements are available at request. 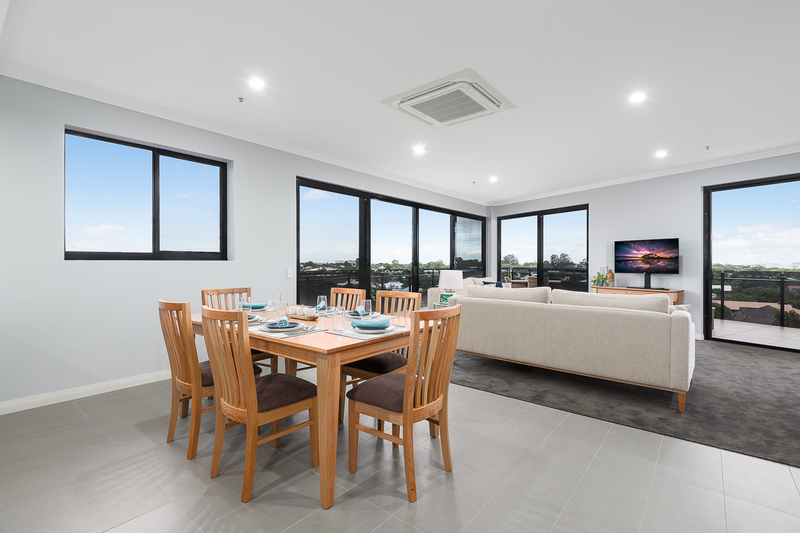 All apartments are located in the King Tower Apartments and Nugdee Tower Apartments accessible on ground level and via the basement car parking.